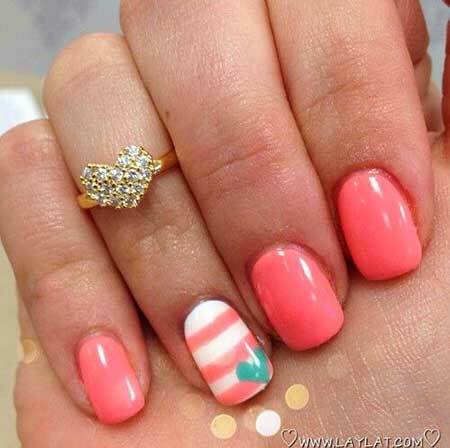 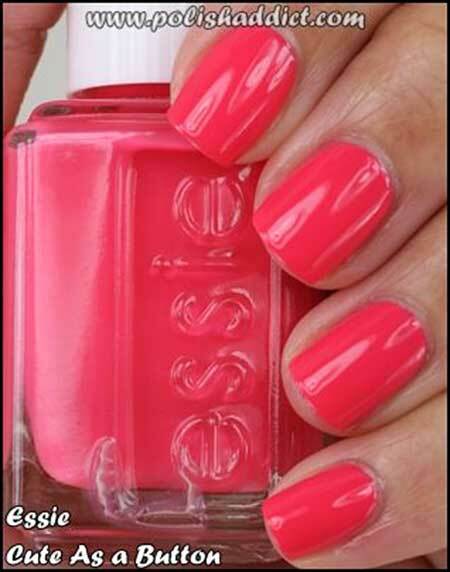 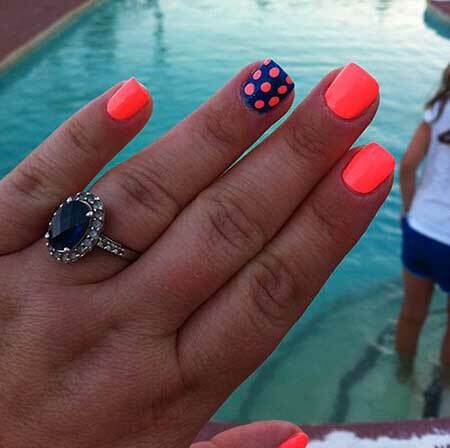 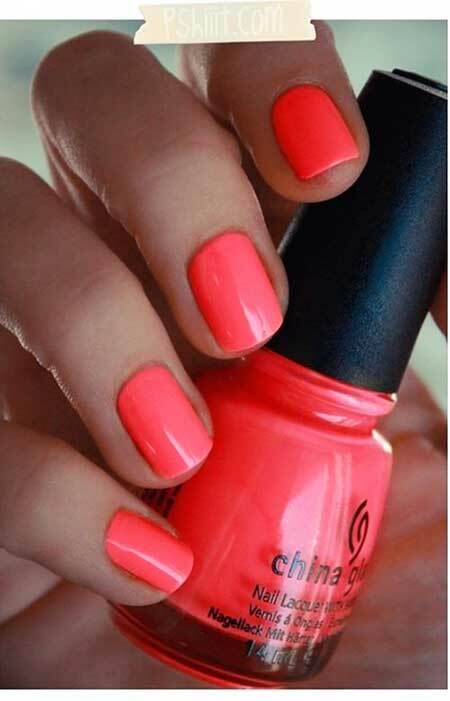 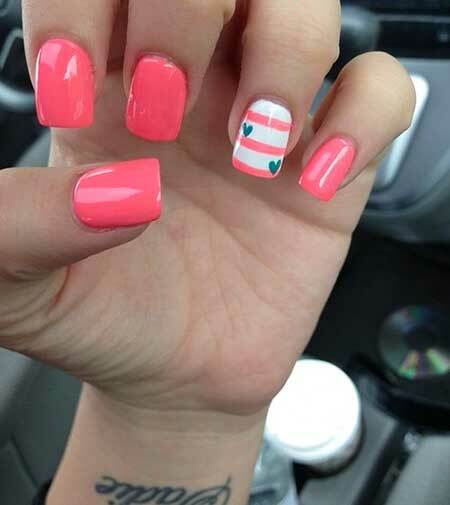 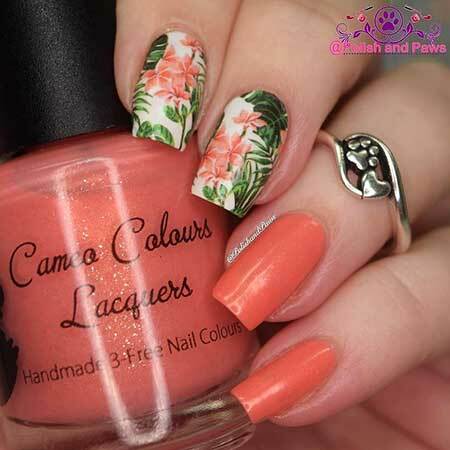 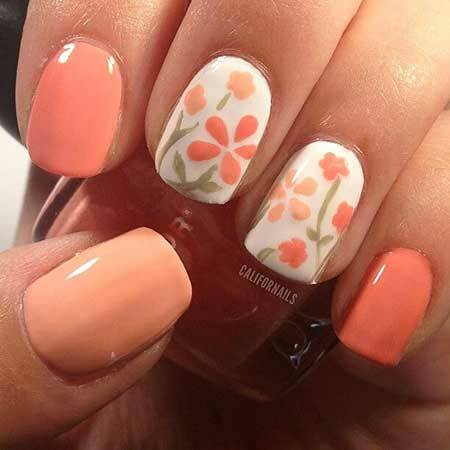 Coral nail coloring with a simple nail art on the ring fingernail looks really adorable yet simple. 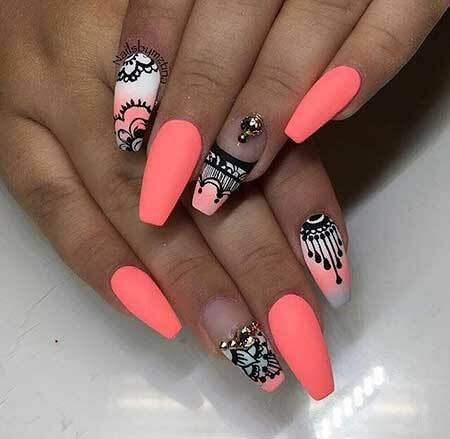 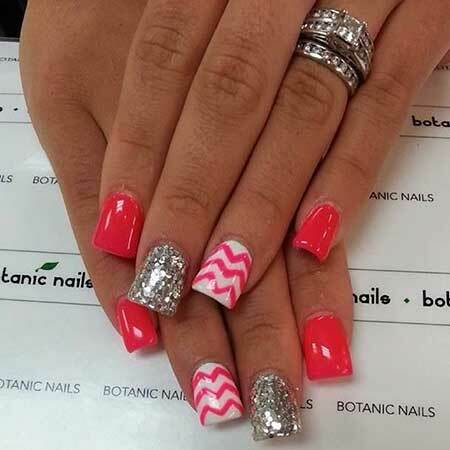 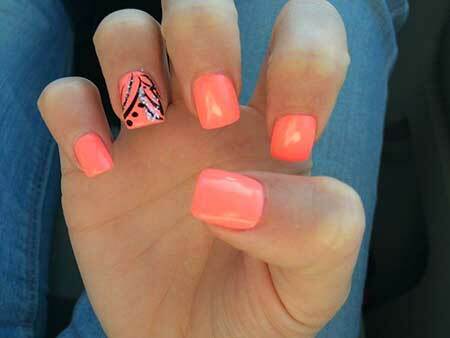 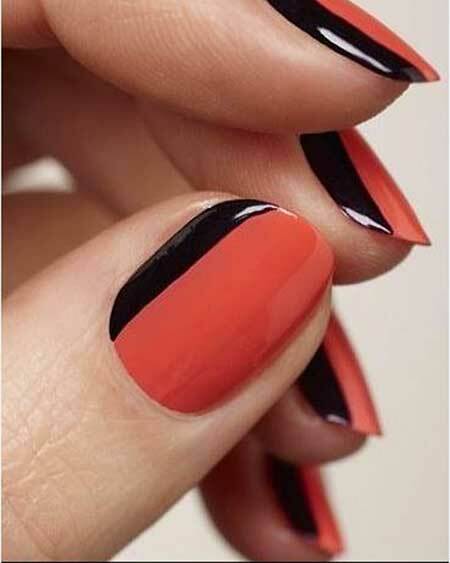 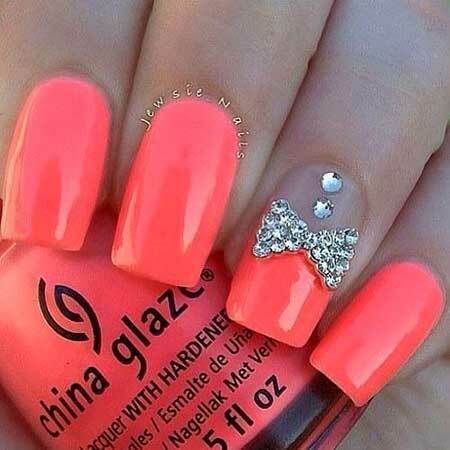 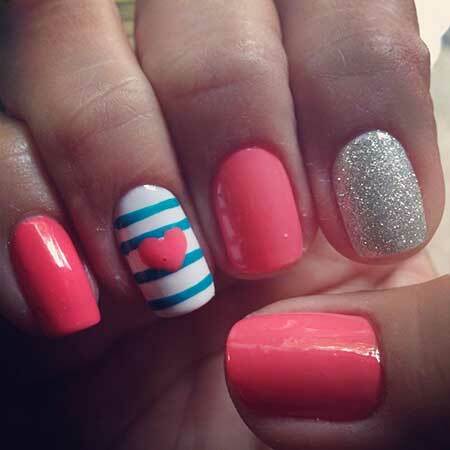 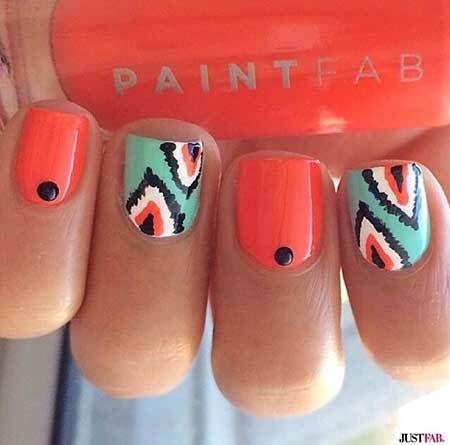 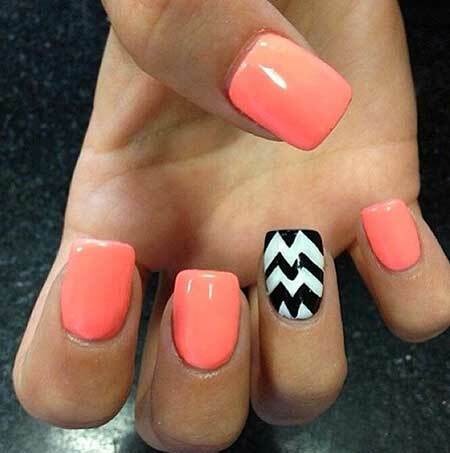 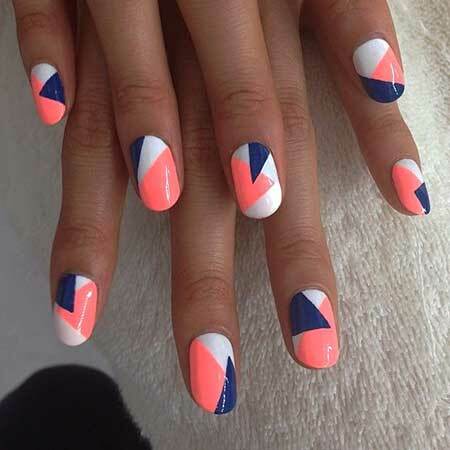 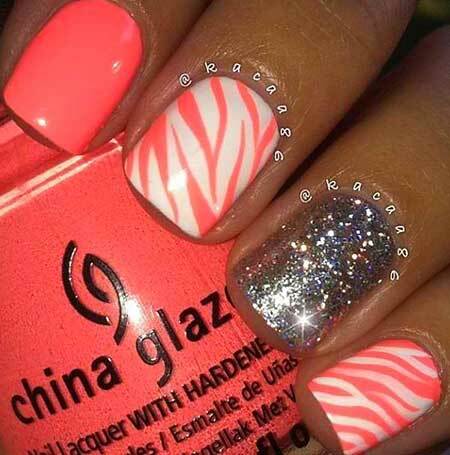 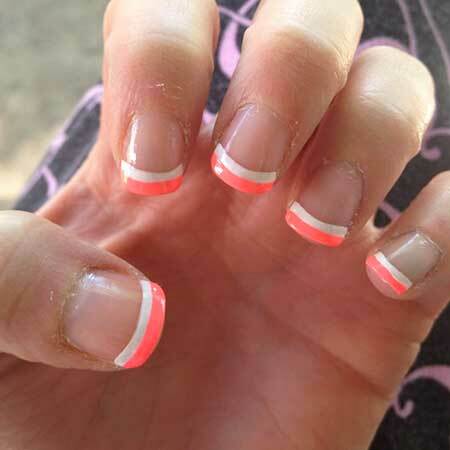 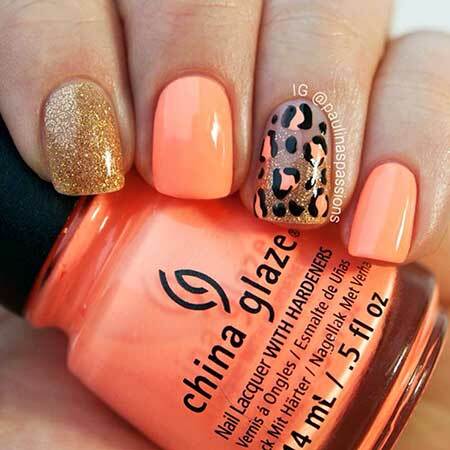 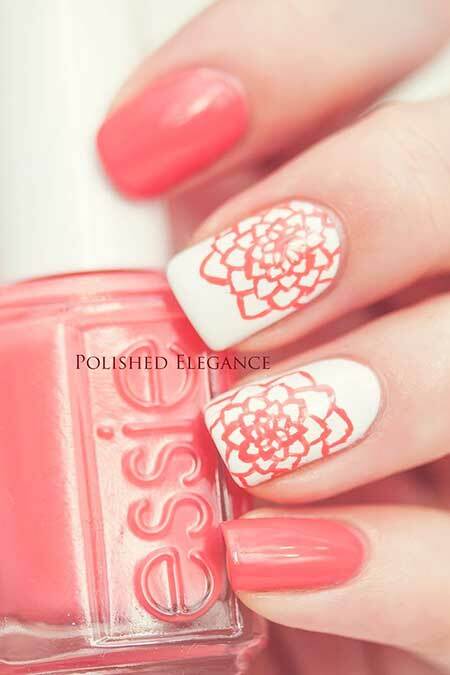 Here is a really cute coral nail art idea with jewels that make this fun color look more elegant. 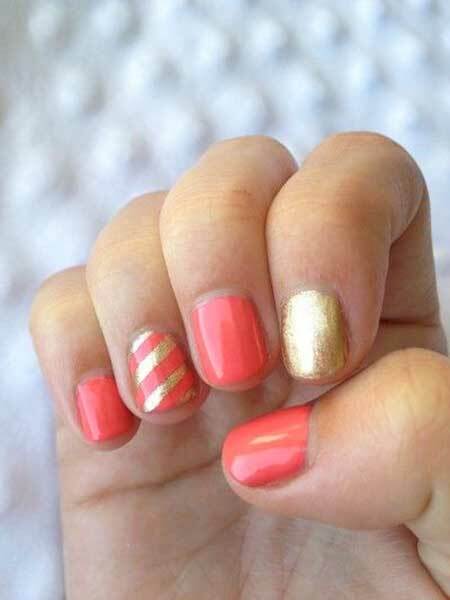 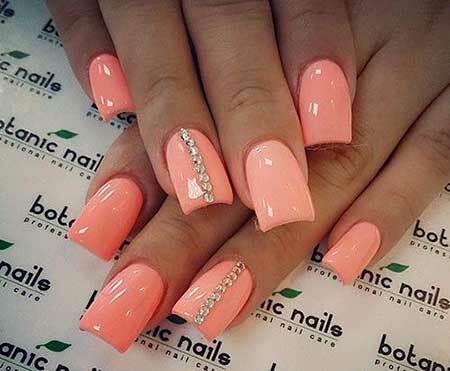 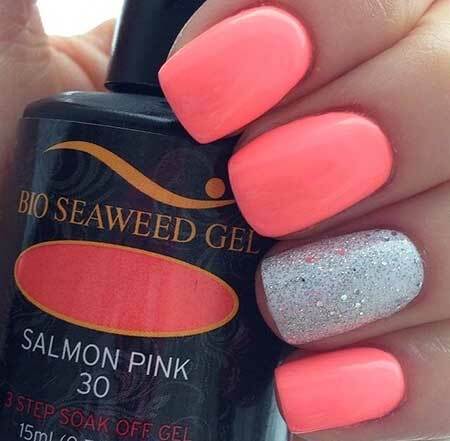 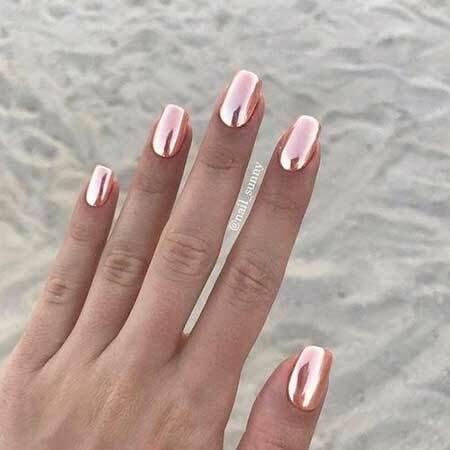 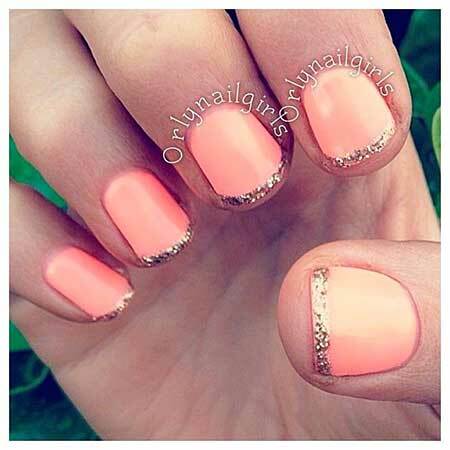 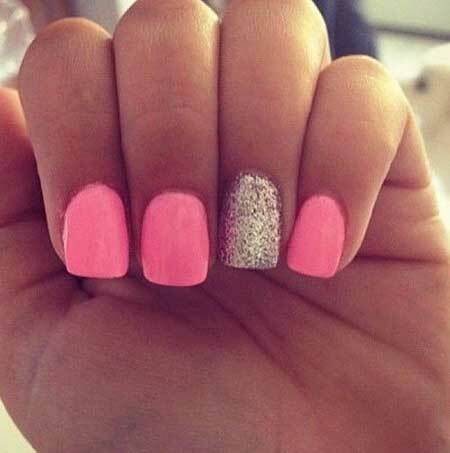 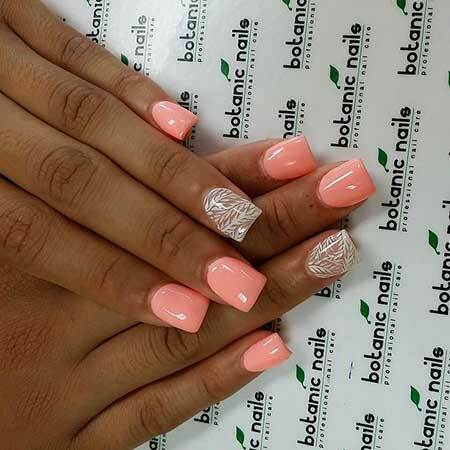 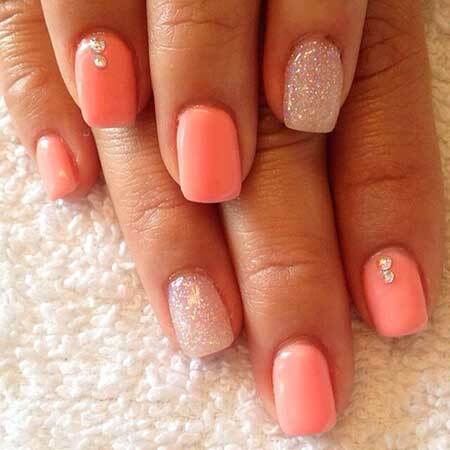 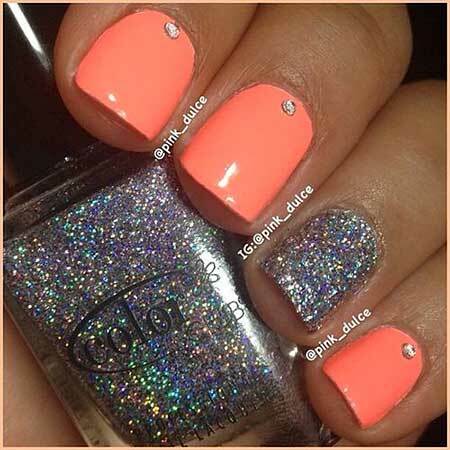 Coral pink nail coloring with golden shimmer looks absolutely adorable and perfect for girls with short nails.